Over-protective attitudes to risk and safety can lead to the real long-term risks arising from inactivity in children. Playground designers, says Jeanette Fich Jespersen of the KOMPAN Play Institute, must resist risk averse pressures and offer children the challenging, energetic play experiences they crave – and their health needs. Being a parent represents a feeling of fundamental purpose in a person’s life. However, from the minute your child is born, being a parent also entails a fundamental fear of losing what you love. This fear can result in over-protective behaviours that seek to clear the path of the child of any risk or even challenge. In helicopter parenting. When that sort of over-protectiveness occurs in the playground, it ends up being counterproductive to one of the very purposes of playgrounds, namely growing to master the world through physical play experiences. A growing number of parents and grandparents seem to complain that they find playgrounds too risky. Playground owners report a multitude of complaints and irrational fears from adults in playgrounds. Mostly they derive from a lack of knowledge of how playgrounds are safety certified. But they also derive from a lack of balance in the perception of what are real dangers in childhood and what is healthy risk taking. For a child to develop positively, risk taking is mandatory. Taking risk is a way to learn how to navigate the world securely, an important life skill that children only gain by doing. 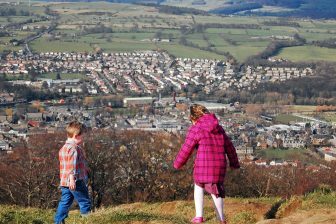 The thrill of risk taking is what motivates classic playground play: anything that responds to action and movements, that provides speed or height, will appeal massively to children, simply because it tickles the stomach. Thus, swings, swaying ropes, springers, spinners and bouncy climbing nets are immensely popular in playgrounds. Research from the Lancet states that physical inactivity is one of four main contributors to premature death (the others are tobacco, alcohol and obesity). However, wildly fun playgrounds are not. 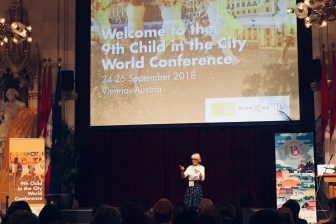 In many countries, the majority of children above 10 years fail to meet the World Health Organisation’s (WHO) minimum recommendation of 60 minutes of physical activity a day. This holds true in among others the United Kingdom, the USA, in Singapore. It’s not just a European issue. What it means is that the average child of these nations, an many with them, is physically inactive. The cost, both on a personal and societal level, is immense. Physical inactivity in children is prone to harm their physical, social and even cognitive development. 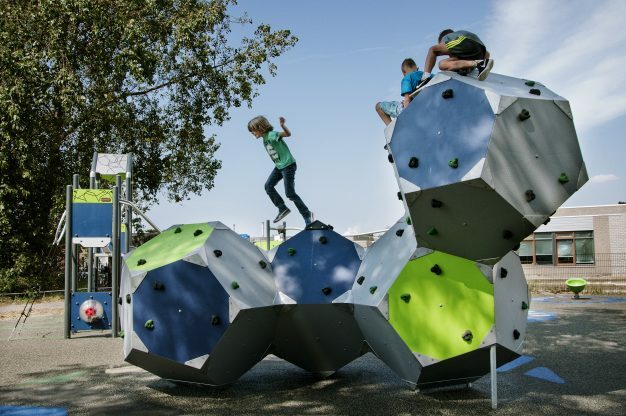 Challenging playgrounds are an evident answer to the physical inactivity of today’s children. They encourage self-chosen, voluntary physical activity. They are among the activities that children themselves mention as their favourite pastime. The WHO in their Global Guidelines for Physical Activity for Health mentions play first, when describing what activities count as physical activity for the 5-18yearolds. The good and challenging playground of course should be in compliance with safety standards. The standards make it possible to plan for play in a challenging, yet safe, way. They provide designers with a framework within which we can create fun, challenging play. Ultimately, the safety standards ensure children and their parents the possibility of age appropriate, fun resorts for free play in an environment free of hazards. The research of the Danish Accident Analysis Statistics, headed by prof. Niels Dieter Rock, shows that children’s accidents extremely rarely happen on play equipment. The home or the gym are much more predominant sources of children’s accidents. 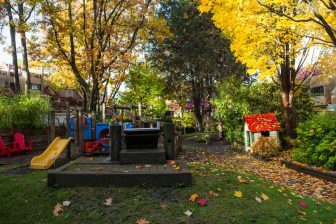 A look at the places that are called playgrounds in today’s cities shows that in some cases, playgrounds have become boring: quite some schools and cities do not even want swings in their playgrounds, due to litigation. Spinning equipment is avoided. Some projects scare away from too wild activities, as they fear they will attract too many visitors and get neighbours complaining. Some projects even state that playgrounds should have no pre-made equipment – which is to say no thoroughly tested spinning, swinging or rocking equipment. Even though innovative playground equipment offers especially older children the challenges and risks that make for thrilling play, park planners sometimes shy away from choosing these risky solutions in fear of litigation. City and playground planners fear parental complaints. Some parks take the brave choice of offering highly thrilling play areas, with speed, responsive movement and challenges for all ages. They can choose play solutions that have been tested by children and play professionals, to meet the ergonomic, play behavioral and safety demands. 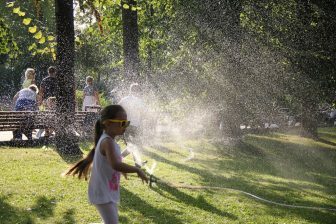 They harvest the benefits of having the most popular gathering points of their cities, for children and their parents. In conclusion, the irrational fear of adults – parents and decision makers – is what we need to approach. There is a public health task right there for park managers. It’s an educational task, and a very important one. Because as long as adults are fearful of trusting the physical competences of the next generation, fun and interesting playgrounds will be an extinct species. And most importantly, children will be bereaved of the fundamental development and health benefits gained from play in challenging, age appropriate and safe playgrounds. This article was first published in Southeast Asia Building.